Straight out of the box, zero complaints. Yes, on a Nike Mercurial. No ‘water-trick’. No putting them in the oven. No meeting the devil at the crossroads and bargaining that 90 mins in your new Vapors would leave your feet blister-free. Ditching the support aspect brought in by the Flywire on the Superfly have allowed Nike to create one of the best (if thinnest) synthetic uppers currently available. 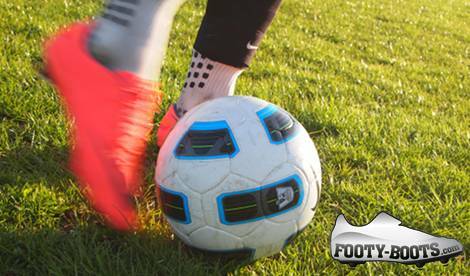 The Mercurial Vapor VIII is more a ballet slipper than a cleat, and the shape of the boot gives a wonderful snug feeling that makes you feel like you can do just about anything with the ball. If there’s a catch, it has to be how narrow they are – especially in the midfoot. If you’re wide-footed, consider half a size up. Opting for a suede-finish-microfibre Teijin over the previous upper have given Nike a more responsive boot, that moves and flexes more readily than the stiffer, more supportive Flywire-enhanced versions of previous models. 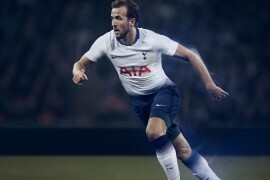 It’s like playing in socks with spikes, and as I mentioned before, you feel supremely confident on the ball whilst wearing them. 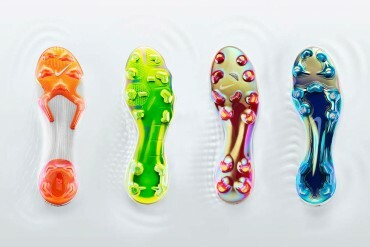 Whilst they do hold up well in the rain and wet, they’re not as good as a ‘proper’ leather – though that seems like something Nike are keen to remedy – as the new Clash Collection colourway and Nike iD versions of the Vapor VIII apparently boast a ‘leather-like’ finish. I’m going with a middle-of-the-road three for the new Mercurial Vapor‘s looks, as I don’t think they’ll be to everyone’s tastes. On one hand I’m glad to see the back of the large graphics that dominated the heel and midfoot of the Vapor 6 & 7, however, I do think the tick on the instep is a tab gaudy. I’d rather see a symmetrical Tick on each side of the laces (a lá the Tiempos), or just the big tick on the toes (like the Vapor IV). Well – it couldn’t get an entirely smooth ride, could it? What the upper gains in just about every other department, it loses in it’s ‘clean-ability’. 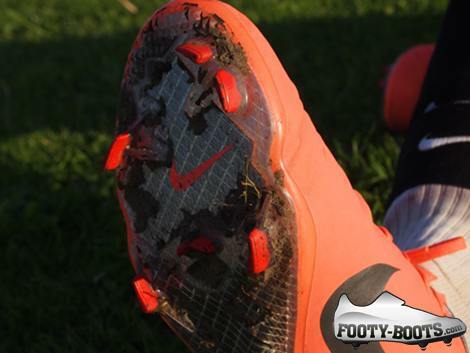 No matter what surface you’re playing on, the Vapor VIII will get scuffed. No, that’s not ‘if’ – it’s a definite ‘when’. Whether it’s firm ground, the touchline markings or another boot, when the VIII‘s get scuffed, I can’t seem to find anything (hot & soapy water, shoe cleaning products, nail varnish remover) that’ll get them back to their best. Though I have heard a ‘Magic Eraser’ works quite well, I haven’t tried it yet. 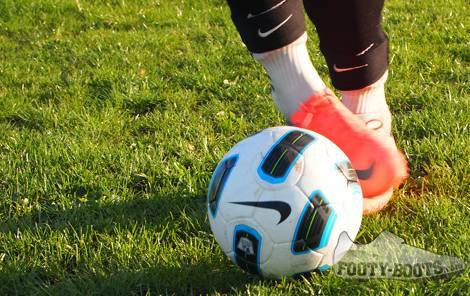 After the sense-studs, FlyWire and other technical gadgetry of the Superfly, there’s a wonderful purity about the Mercurial Vapor VIII‘s performance. 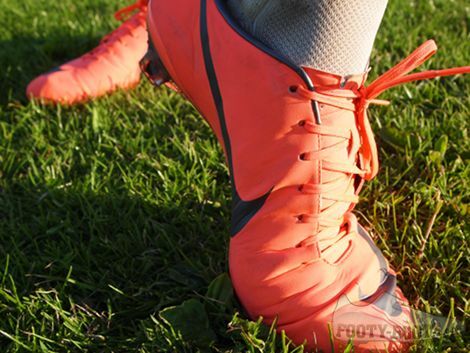 Centred lacing, no ‘power’ or ‘accuracy’ elements, the Vapor VIII‘s are designed to be quick, and that’s exactly what they are. They – like other Vapors – also have a surprising ‘pop’ when you catch the ball with them. The combination of a thin upper and well-designed soleplate add a level of zip to strikes that will take any Vapor-newbies by surprise. 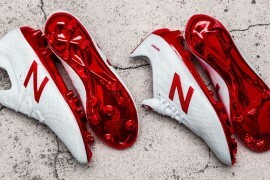 Many will likely have concerns on the soleplate, but from testing them for two months now, I’ve not once felt unsupported or in danger of snapping them on 4G turf, firm ground or recently-rained ground. Compared to the Superfly, I’d give them 6/5! But as I’ve said before, the industry ‘average’ at the moment is around the £150 mark for ‘top-end’ boots, and given that their RRP is exactly that, and you can now pick up either of the launch colourways from £111.99 – depending on your size – these fall into the ‘above-average’ bracket for value. 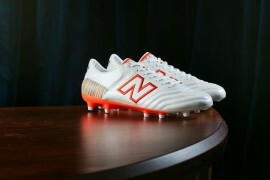 If I could rate these boots based on performance alone, they’d be pretty close to perfect. 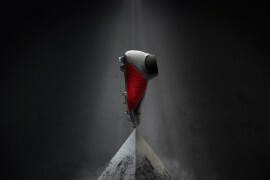 Nike have performed a remarkable turnaround on their ‘speed’ silo, and have made them super-comfortable to boot; Speed-Freaks rejoice, your boot has most certainly come in. However, as they’re tough to look after, you have to question whether they’ll last a full season of training and playing for most players – so we have to draw that into question. We’ll still be playing in them over the season – and if any question marks over their durability come up – we’ll be sure to let you know! I have been wearing these for about a month now, and I got blisters on my big toes after playing 90 minutes a few days ago. I am thinking it may have been the somewhat loose adidas socks I was wearing. My question is, are you wearing two pairs of socks in this review, or did you cut your club socks and pair them with the anti-blister socks? I did mean to mention this in the review, I didn’t get the TruSox until after my first few games in the Vapor, so the breaking-in period was done in just a standard pair of Nike teamwear socks. The photos were taken before I had a game, and didn’t want to have to change once I’d warmed-up! Hey PurvisUSA, a boot tester at another site said he also got blisters from the boots on the big toes, so it can’t be coincidence. He mentions it in his review, and I recommend you go check it out, although this review is pretty similar and just as fantastic! So, basically what I’m trying to say is I think that the boots cause blistering near/on the big toes and it has nothing to do with the socks. Hope that helps. Every blog and review page that I have looked at says these rip easily by the pinky toe just after a few wears. It sounds like the durability is extremely poor. Too bad because these boots look fantastic and the material is so soft. 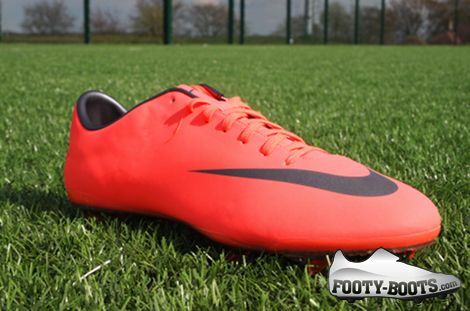 Nike have done great with the mercurial viii. Real improvements have been made from previous models. 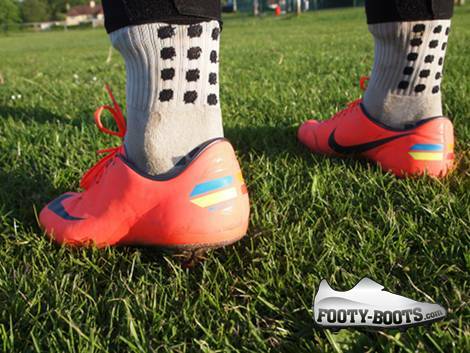 The new sole plate and upper material are great whilst still looking very smooth with the large inside boot swoosh. Best pair of boots I’ve had for a long time. if i m plyin footbll 1 a wwk is $85 worth it to prchase boots? ?